In March, Twistfix were excited to announce The Children’s Air Ambulance as our charity partner for 2014. Since then, we have been donating at least £250 a month to the charity to fulfil our initial £3000 pledge but, through sales of our damp proofing chemicals, are attempting to raise at least double this by March 2015 - 1% of all sales of any Twistfix damp proofing product, our most popular section, will be donated directly to TCAA. Our online customers are able to tick the 'donate a £' button on our checkout page to contribute to this most worthy cause. Transferring children who are ill, often critically, between hospitals is a delicate operation and can be difficult, dangerous or impossible to carry out by road. 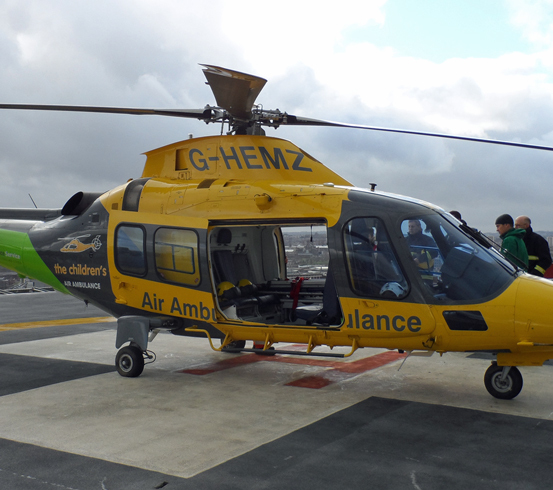 The Children's Air Ambulance was designed to help overcome this problem which is faced by around 6,000 ill children every year. By cutting down on arduous and time consuming land journeys, The Air Ambulance offers children improved healthcare access, facilitating a more hopeful prognosis and drastically reducing recovery times. TCAA, which is essentially a flying mini-hospital complete with a full range of sophisticated monitoring devices, medical gases and customised incubators and stretchers, has never received any government funding, depending entirely on charitable donations. Since its maiden voyage little more than a year ago, TCAA has now flown almost 30,000 miles and has completed 46 baby transfers, 31 team moves and a ground­bre­aking child move which utilised the ambulance’s new, upgraded stretcher equipment. Twistfix has a long history of supporting charities, particularly those concerning children. Please help us add to our own £3000 donation by purchasing quality damp proofing products from our dedicated and professional collection. Make sure you are subscribed to our newsletter to find out more about The Childrens Air Ambulance - updates and new ways to get involved are on the way soon. 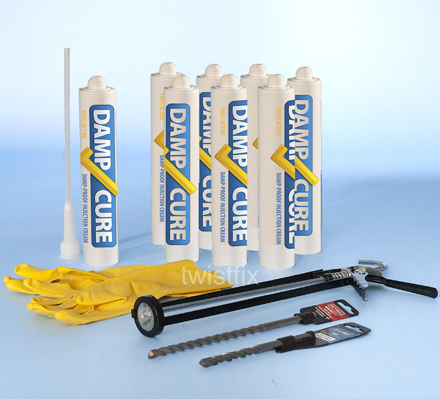 Check out our range of damp proofing products and materials which includes DPC injection cream, damp proof membranes, masonry water repellent and anti-condensation paint. Need more information or advice? Call us on 0845 123 6007 or email sales@twistfix.co.uk.